A periodic podcast about the University of Denver hockey program by MagnessMayhem.com, which provides comprehensive news and information about the Pioneers. This week's DU Pioneer Hockey Podcast, brought to you by MagnessMayhem.com, goes drilling for hockey in Alaska. We drilled down on the subject of playing and coaching hockey in Alaska with former UAF player and coach Dallas Ferguson, the newest assistant on DU's staff. We also break down No. 9 Denver's successful opening weekend and discover why the Liam Finlay-Brett Stapley tag team was able to apply the finishing move to Alabama-Huntsville in Saturday's 6-0 victory. All this and more awaits you! 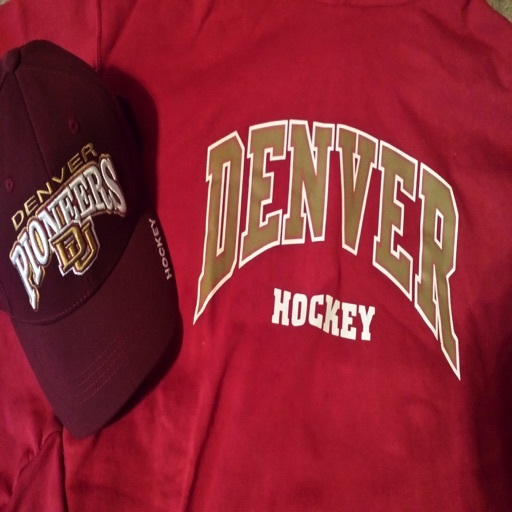 Magness Mayhem's DU Pioneer Hockey Podcast launches with a trio of interviews with current Pioneers players - juniors Tyson McLellan and Michael Davies, as well as sophomore Ian Mitchell. © 2019 OwlTail All rights reserved. OwlTail only owns the podcast episode rankings. Copyright of underlying podcast content is owned by the publisher, not OwlTail. Audio is streamed directly from MagnessMayhem.com servers. Downloads goes directly to publisher.